Some major South Jersey cross country action took place Sunday at Delsea High School. The annual South Jersey Open saw over 1,000 competitors cross the finish line between the high school and middle school races. Here is a meet merge where we combined all the high school races together and score them as a meet. 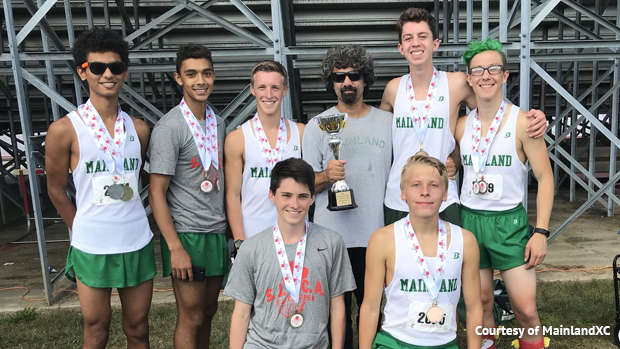 On the boys side Mainland Regional continued their strong 2017 run leading the meet with 38 points in the merge, 45 points ahead of second ranked Bishop Eustace. Mainland had a very quick split of 22 seconds and averaged 16:33. Their scoring five Mikin Patel 16:23, Nicholas Berenotto 16:28, Kevin Antczak 16:31, Tiger Carey 16:37, and Artur Simoes Menezes 16:45. In their Division 2 race they scored 2+3+4+5+8. The meet saw one break 16 minutes, Colin Kane of Delsea who hit a 15:58 on his home course to win the Division 2 race. Nick Hutchison of Bishop Eustace 16:12 and Mikin Patel of Mainland Regional 16:23 closed out the top three of the meet. 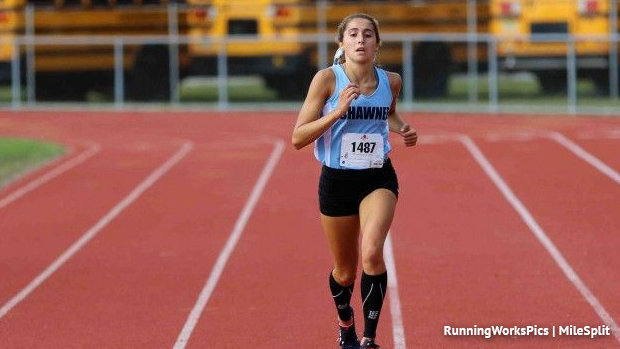 The Shawnee girls opened their 5K invitational season with a bang leading the meet merge with 39 points and an average of 19:52. Sophomore Isabella Turner led the team with the second fastest time of the meet at 18:58 to win Division 3, a race in which they scored 18 points as a team! Claire Hauser 19:26, Georgia Larzelere 20:14, Lauren Tenet 20:18, and Laura Mavracic 20:22 made up the rest of their top five. Seneca was the second best team in the merge score with 84 points, they were led by Sydny Warner's 19:38. On the individual front, Katy Storti of Bishop Eustace Prep finished well ahead of the competition. She won the Division 1 race with an 18:36, the fastest performance of the day by over 20 seconds. Isabella Turner of Shawnee was second overall at 18:58 after winning the Division 3 race and Emily Dirkes of Mainland Regional was third overall taking Division 2 at 19:22. For the full lists and team score merges check out the Merge tables.